Anyway, things have calmed down enough for us to contemplate squeezing out another podcast for your pleasure and delight. Although as both of us are in the Dad Club now, it’s unlikely that these podcasts will be as regular as they were before. And considering how irregular they were to start with, that means we’ll probably be churning them out roughly as frequently as Harper Lee writes books. 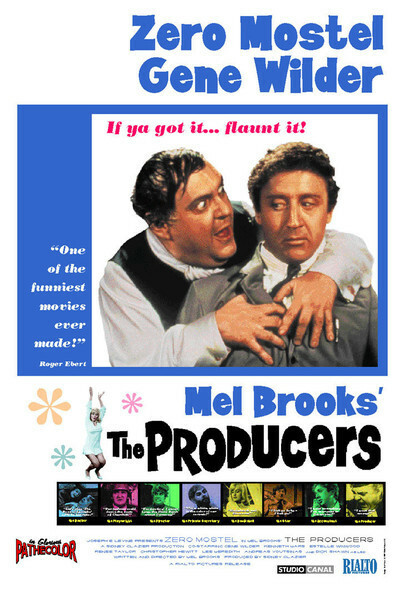 If our review has piqued your interest in the film, you can buy the The Producers DVD from Amazon by clicking here (and we get a little bit of cash if you do – thanks in advance). 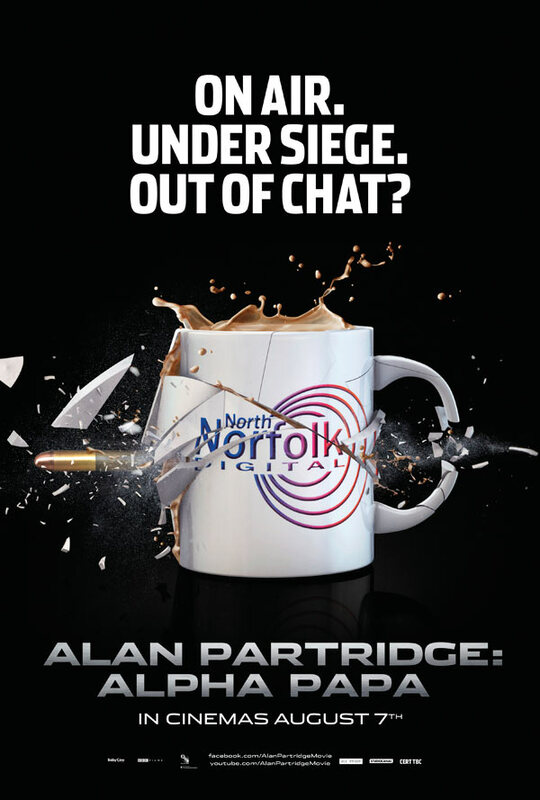 This week we present our third 101 Films Extra, dedicated to the great Alan Partridge. It’s been out in cinemas for a while now, so if you haven’t seen Alpha Papa yet, go now! Or if this is the future and you’ve only just found this podcast, download this film into your mind from the 21st century archive as quickly as possible. We’ve been looking forward to doing our comedy special, as it finally gives us the chance to spend half an hour quoting lines from our favourite comedy films, all the while laughing like schoolboys who’ve just read their first issue of Viz. As with our previous specials, we’ve chosen a list of our top ten favourite films, but chopping our initial list of 25 comedy films down to just ten proved an arduous task. Never in the history of 101 Films has there been so much soul searching, heated debate and hands-throwing-in-the-air as there was before the recording of this particular special. But then again, as we’ve mentioned before, comedies tend to be the films we remember most fondly, the films that see us through the good times and the bad, so it’s no surprise that they inspire such passion. Whereas we’ll often only watch a film once and never return to it, we’ve seen every film in our comedy top ten many times, and some of the viewing counts are easily in double figures. We ended up having to be pretty ruthless in our bid to reach a top ten. We decided from the off that we would only accept ‘pure’ comedy films into our canon, so no genre crossovers. Sadly, that meant an early bath for the much-loved Shaun of the Dead and Ghostbusters, and Withnail & I was deemed too much of a comedy drama to fit the bill. Swingers swung out early, and Groundhog Day was briefly considered before being reluctantly dropped. In The Loop was culled because although very funny, it’s not laugh out loud funny, more wry amusement. We also lost The Blues Brothers early on, and Ian vetoed Borat, while Lewis struck off School for Scoundrels. It was murder out there. We agonised over whether to include BASEketball for a long time, but eventually decided that the sheer quality of the other titles was enough to edge it out of the top ten. Likewise, we dropped Trey Parker and Matt Stone’s magnum opus – South Park: Bigger, Longer & Uncut – over worries that the humour that tickled our teenage funnybones might not hold up to scrutiny by our current, cynical, thirtysomething incarnations. Austin Powers: International Man of Mystery was considered but ultimately dropped on the basis that we already have another Mike Myers film in the top ten, and also that the memory of the original Austin Powers film has been permanently sullied by the lacklustre sequels. The Naked Gun was in there to the very end but was ultimately culled because of the presence of an even mightier Leslie Nielsen film in the final countdown, and Dr Strangelove clung on for dear life before being swept away in a remorseless effort to get to the final ten. 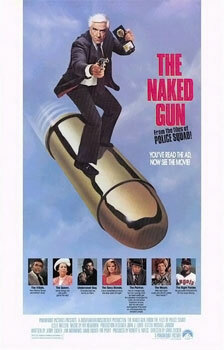 So finally we’re here: the Top Ten Comedy Films You Should Have Seen. 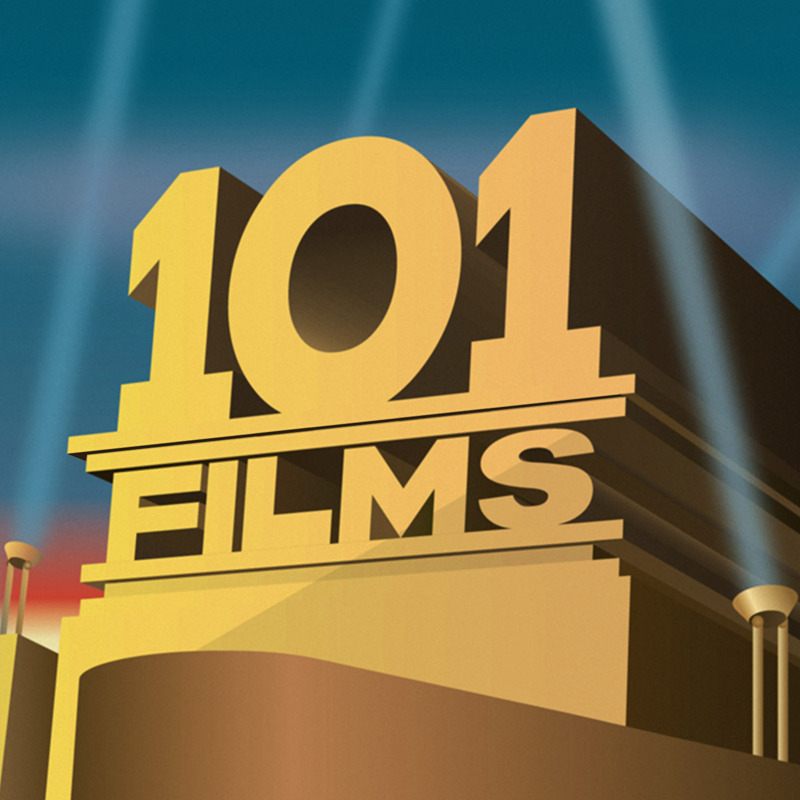 We hope you enjoy listening to our list, but if there’s a killer comedy that you think we’ve left out, let us know by adding a comment to this post or emailing us at 101filmsyoushouldhaveseen@gmail.com. And finally, as we mention in the podcast, we have some serious doubts as to John Hannah’s successful use of a Monty Python quote to pick up Gwyneth Paltrow in Sliding Doors – could this ever really happen in real life? Have you ever successfully used a Monty Python quote to pick up a man or woman? If so, please write in and let us know. And tell us your secret. And finally finally, I just had to share this fantastic (shot!) website I came across while writing this post – a blog dedicated to William Shatner’s toupe: http://shatnerstoupee.blogspot.co.uk/. I’m particularly fond of this post, entitled “Shatner in a hat – a more dignified actor”.